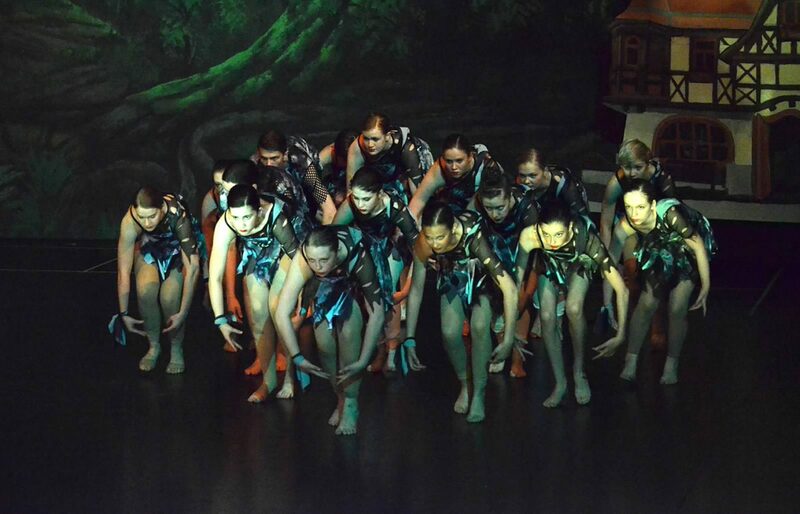 It is with your feet that you move, but it is with your heart that you dance. 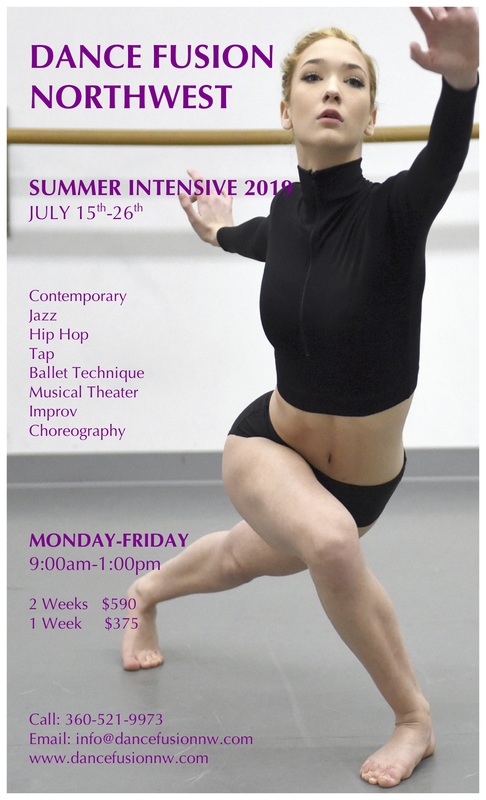 Our mission is to INSPIRE each individual and instill an appreciation and love for the beautiful art of DANCE as well as the joy of PERFORMANCE. 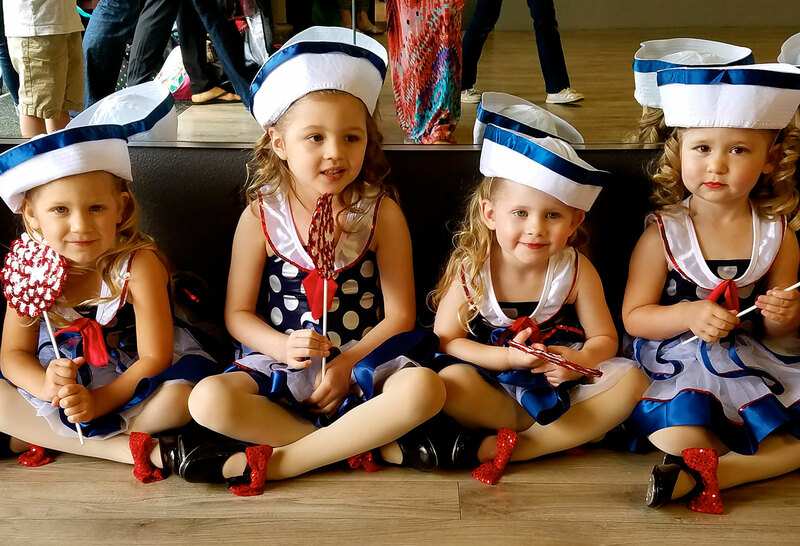 Voted ‘Best of Clark County 2016’ and CONVENIENTLY located in Salmon Creek, Dance Fusion SPECIALIZES in Ballet, Tap, Jazz, Contemporary, Hip Hop, Lyrical, Theater, Acro and Fitness for ages 3 to ageless! In business since 2004, here’s a little bit about how we started! 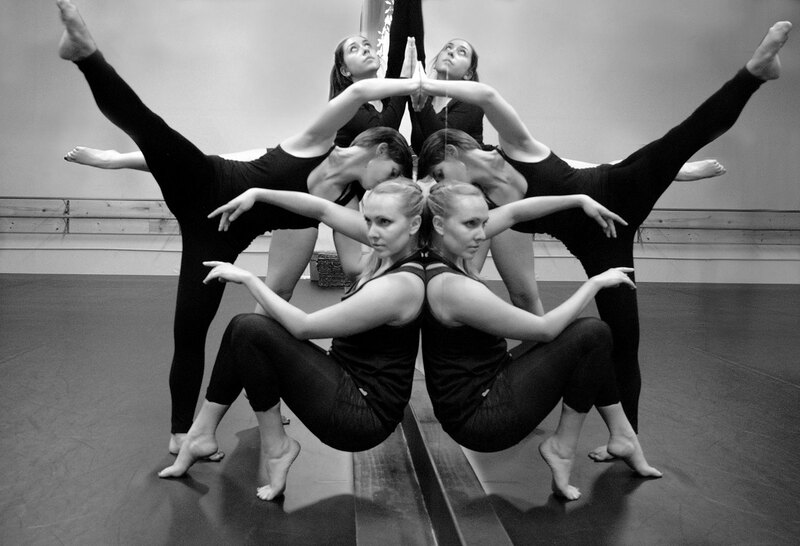 See a listing of all of our available classes - we specialize in dance, but offer much more! 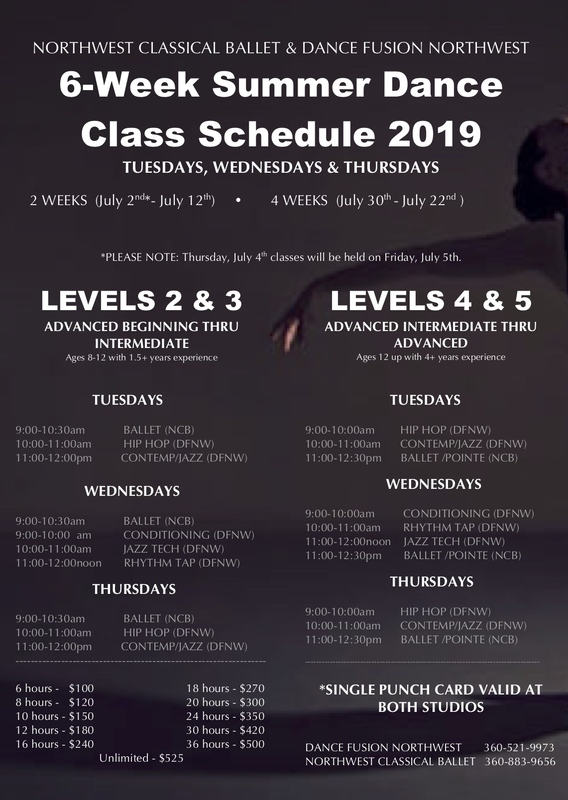 Find out what's happening by viewing our full schedule of classes. See all tuition and payment options. Our teaching staff is full of talented, passionate people who want you to succeed. 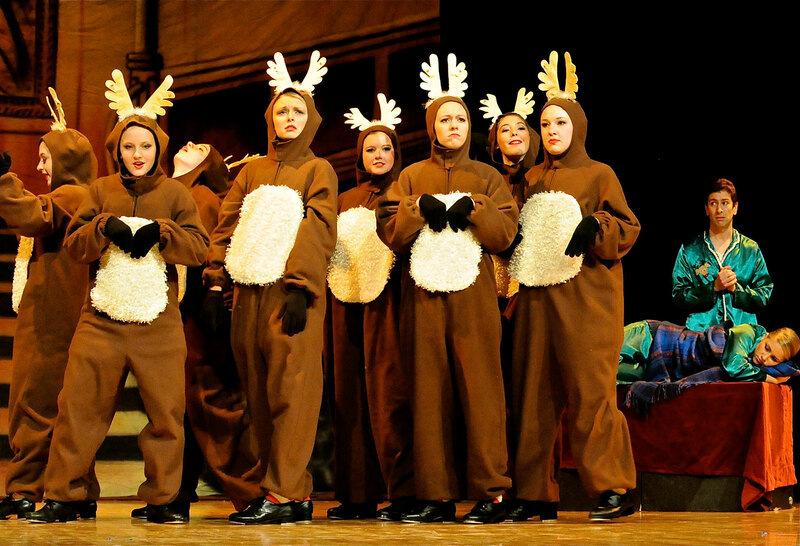 Christmas Stories Tickets now available! 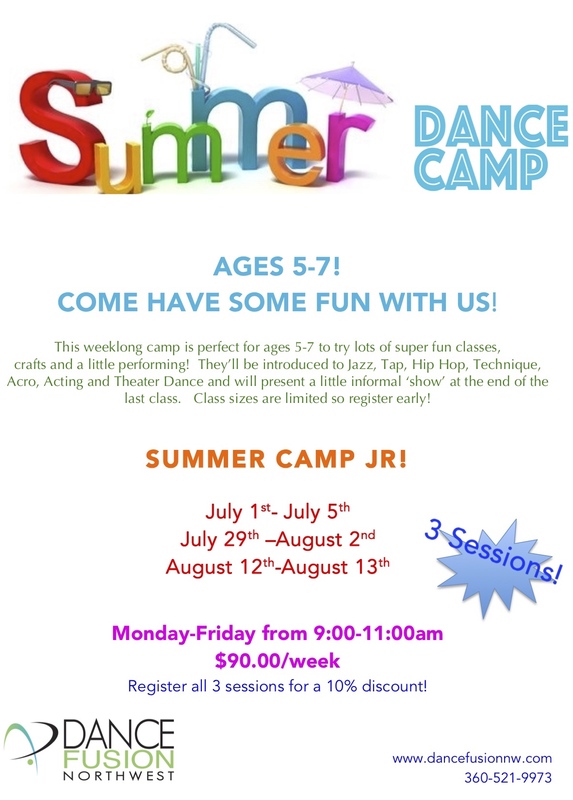 SUMMER DANCE SCHEDULE NOW AVAILABLE! 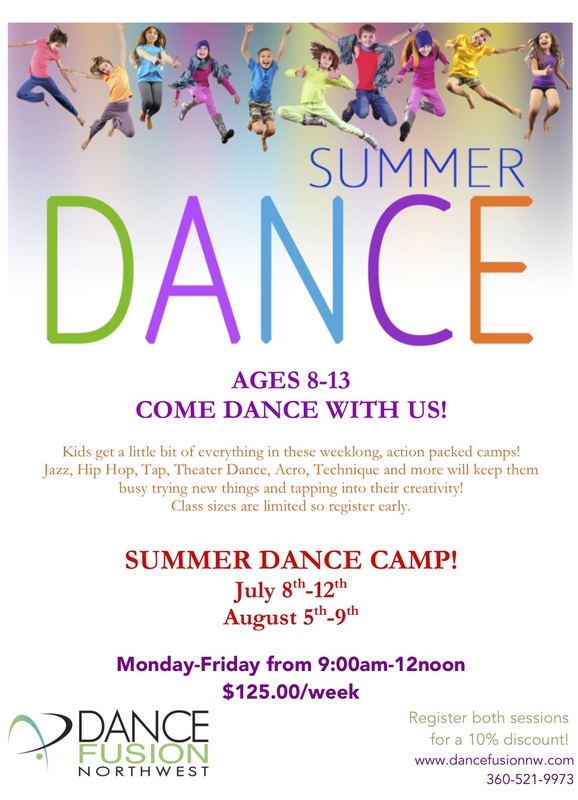 Ballet, Tap, Jazz, Hip Hop, Contemporary, and more! 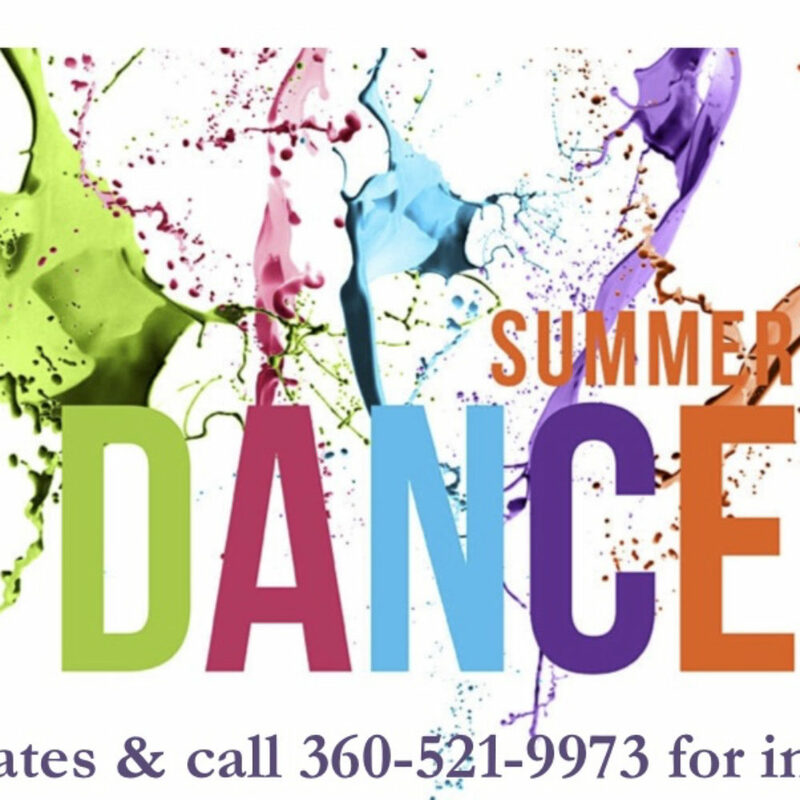 We are so fortunate to live in an area rich with wonderful dance studios and performance opportunities and are proud to be a part of this community. 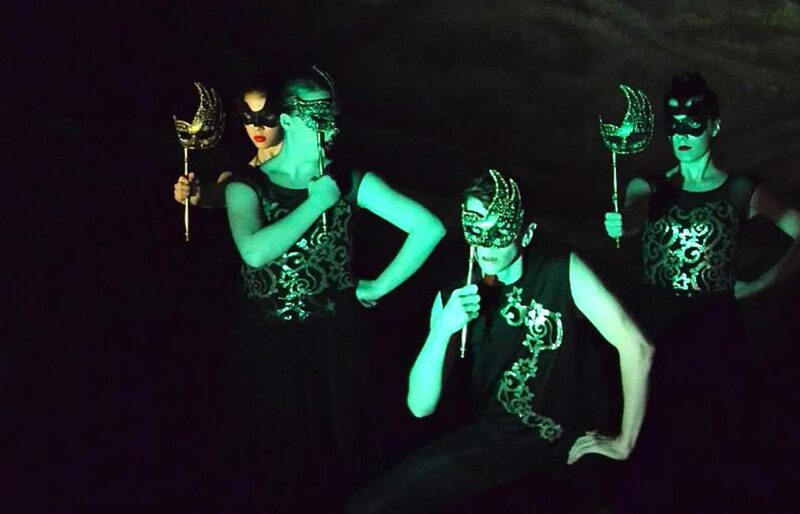 Each organization brings their own, unique energy and style to the dance world. 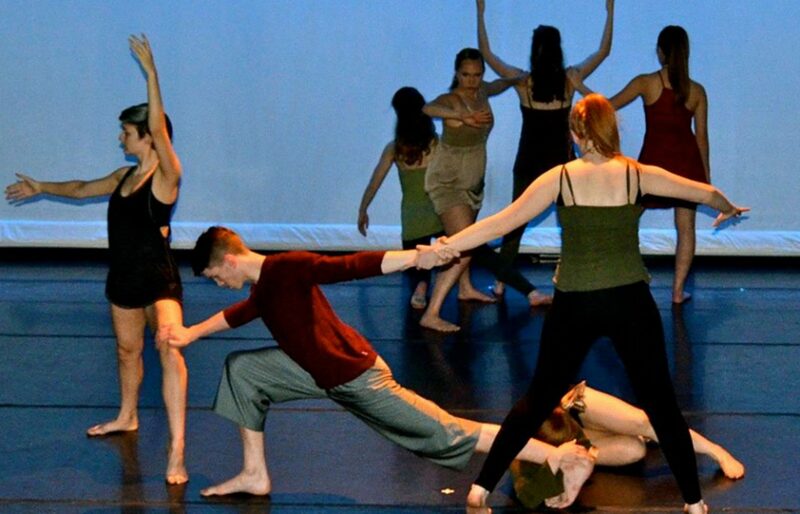 At Dance Fusion NW, here’s a little bit about what moves and makes us. 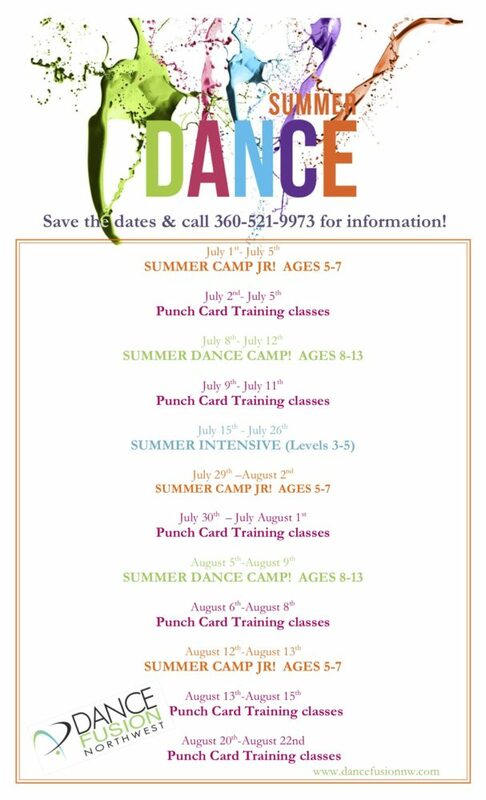 A professional, positive, family oriented dance & performing arts education studio with a focus on the joy and passion of performance. Where style and technique blend with showmanship and a sense of humor! Our mission is to INSPIRE each individual and instill an appreciation and love for the beautiful art of DANCE as well as the joy of PERFORMANCE. Fostering camaraderie and social skills alongside discipline, passion and self expression. 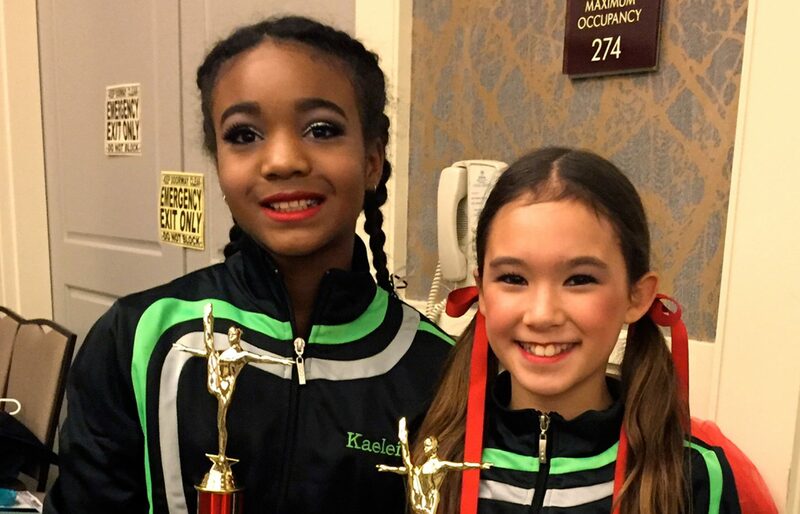 From the recreational to the serious, ENCOURAGE each dancer exactly where they are and CELEBRATE their own personal achievements and innate gifts. Love performing! 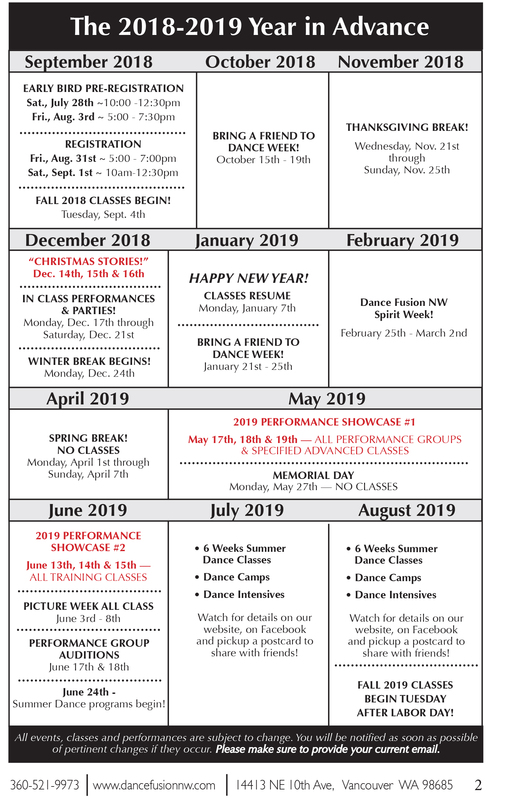 In addition to our annual original holiday production “Christmas Stories” and our Annual Spring Showcase, DFNW also participates in numerous community events. Local performances include: The Clark County Fair, The Sausage Fest, The Portland Trailblazers, Pioneer Courthouse Square Atmospherics, The Oregon Zoo, The Festival of Trees, Discovery Walk, OSU’s Dance Against Hunger, the VA Hospital, Oktoberfest and many local schools and retirement facilities. Love Traveling! 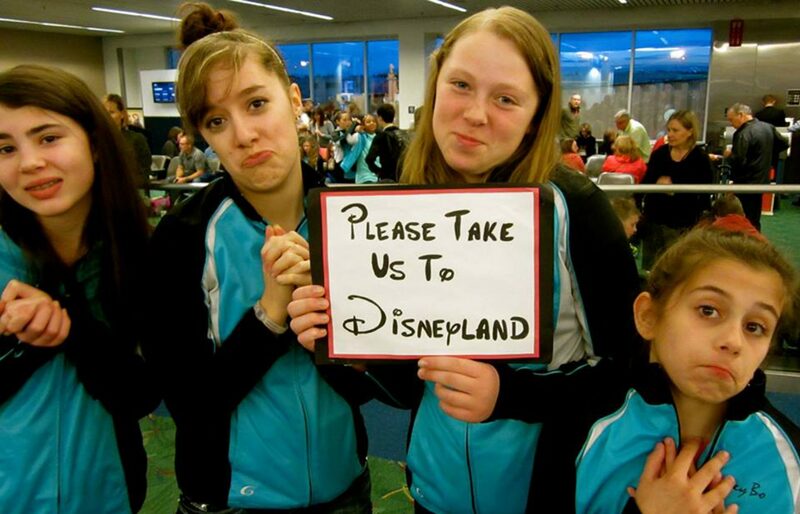 Dance Fusion also performs in Disneyland and travels to New York, Los Angeles and surrounding areas for advanced training including dance conventions and workshops. The Dougy Center, The Challenge Games of Clark County, The American Cancer Society Pediatric Research, The Children’s Cancer Association, 65 Roses Cystic Fibrosis, OSU’s Dance Against Hunger, International Rett Syndrome Association and bi-annually donates to Share House a portion of the proceeds from their Holiday and Spring performances. Please use our new portal page to see the latest information regarding practices, performances, and everything that's up to the minute.